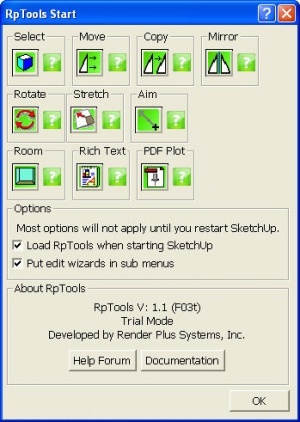 RpTools is a SketchUp add-on which makes it easier to work with components, to create 2D documents, and perform other powerful functions. RpTools is an add-on package for SketchUp to make it easy to layout 3D components from the 3D Warehouse (or your own components). RpTools also contains the Non-Photorealistic features of NprTools . If you are trying RpTools for the first time, and have problems, Don't Give Up. Between the combinations of SketchUp versions, Windows versions, and machine types, sometimes somethings goes wrong. It anything is not working, don't give up. Let us know. If you have problems with downloads or installation, contact us right away at support@renderplus.com. If you have other problems, or questions on how to use IRender nXt, place them on our Forum. Download Problems - If the download doesn't start, try again. Sometimes our download service gets messed up, If is still doesn't start email us and we will send you a direct link to try. 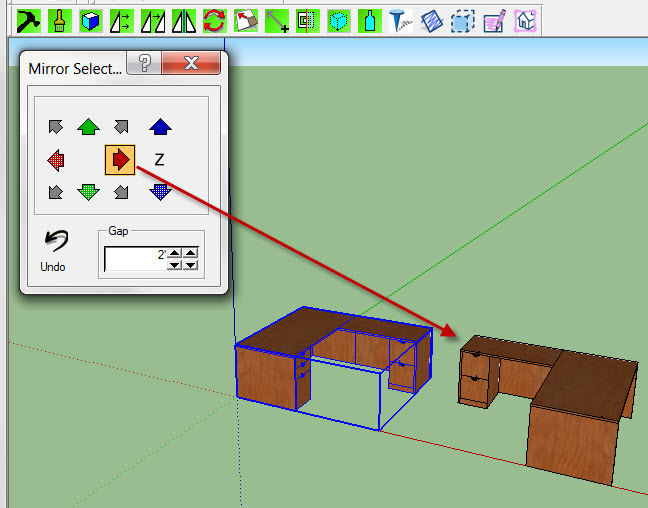 Installation - During installation, you need to select the proper version of SketchUp. If you have problems contact us right away. 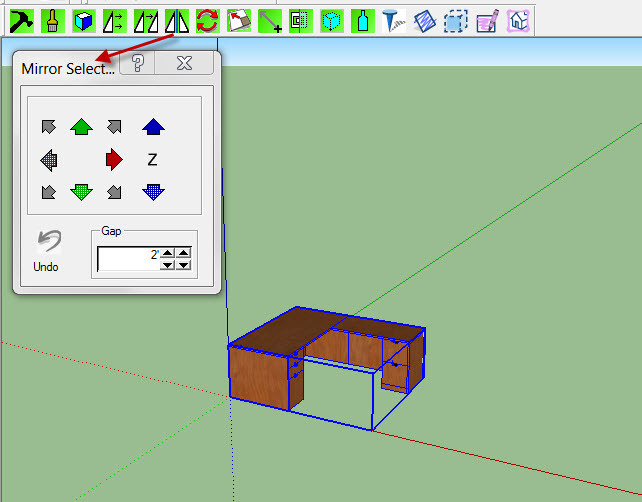 SketchUp Toolbar - If the application does not appear on the SketchUp tool bar - look under plugins. If there is an entry called RpTools Load', click it. Other Problems - - Contact Us - Don't Give Up. 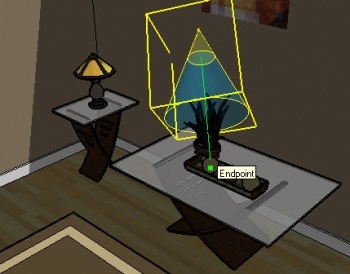 This should be handy for placing cabinets, or similar items, in a room, where each item is placed relative to the previous item, and rotated properly to align with the proper wall. This is available on the Component Selector in RpTools. - Start Dialog - Options and Help for RpTools. - Place Material - Place materials on surfaces. 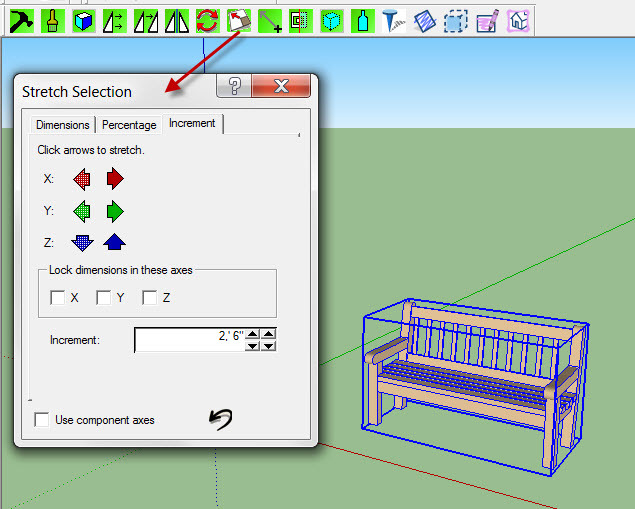 - Select Component - Select SketchUp components from an Explorer like list. - Move Wizard - move a component (or any selected entities) along an axis. - Copy Wizard - copy a component (or any selected entities) along an axis. - Mirror Wizard - mirror a component (or any selected entities) along an axis. - Rotate Wizard - rotate a component (or any selected entities) around an axis. - Stretch Wizard - stretch a component (or any selected entities) along an axis. 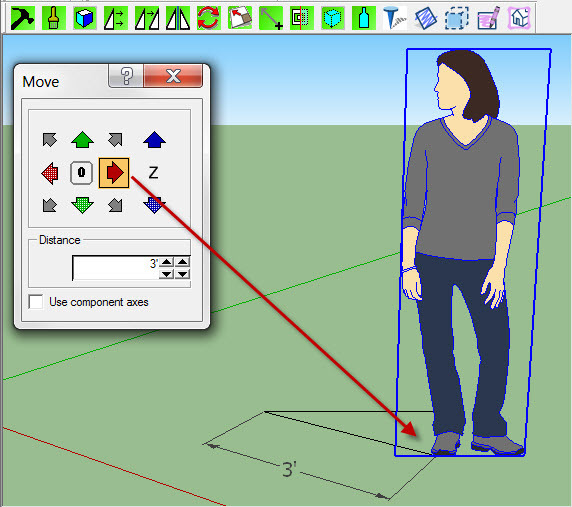 - Aim component - align a component's axis to point at something else in the model. 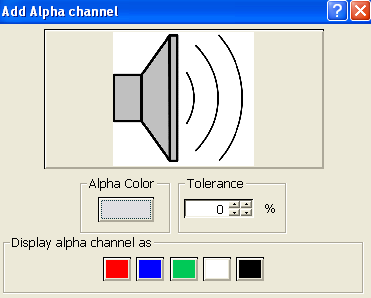 - Alpha Channel - Adds an image with transparent areas. 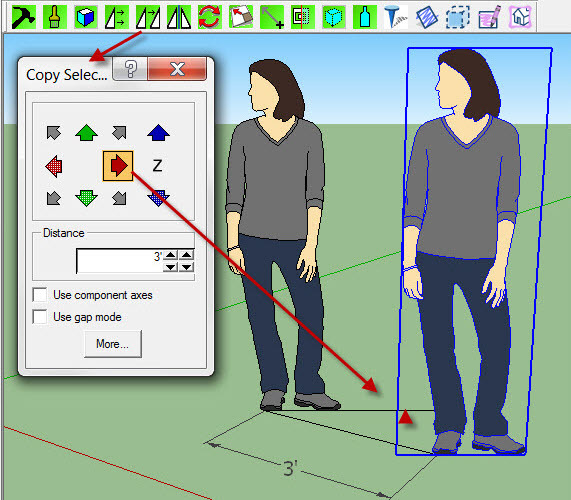 - Proxy Components - Create low poly components to speed up your SketchUp model. - Shapes - Wizards to create standard 3D objects. - About NprTools - Lets you make program settings and enter license information. - Soft Shadows and Sketchy Shadows - Similar to soft shadows, but applies a texture pattern to the model to be used to draw the shadows. - Sketchy Textures - Lets you create your own sketchy textures to be used with SketchUp or Sketchy Shadows. - Soft Edges - Saves an image of your model with colored, transparent or softer edges. - Crayon Colors - Special colors and styles to achieve a crayon look. - Save Model As Image - Saves special images - edgres, shadows, etc. The Start Dialog shows all of the icons available on the Toolbar, with a help button for each icon to take you to the on-line help. 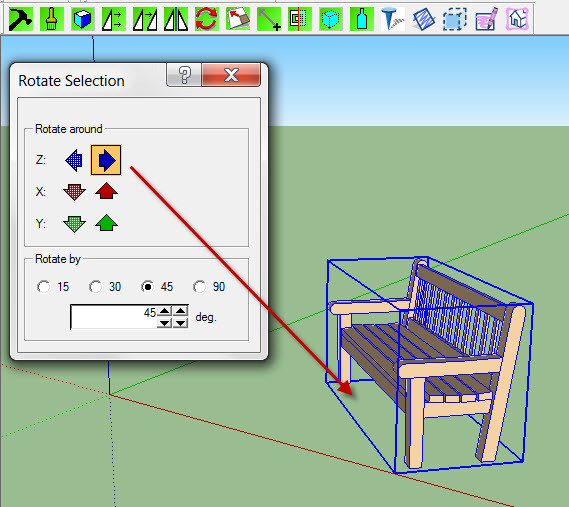 Load RpTools when starting SketchUp - If this is checked then RpTools will automatically be loaded onto the toolbar whenever you start SketchUp. Put edit wizards in sub menus - It this is checked then the RpTools right-click edit options (move, copy, rotate, etc.) will be placed in a sub-menu of the right-click context menu. Otherwise they will appear directly on the menu. Click this button to proceed directly the the RPS on-line help forum for RpTools. 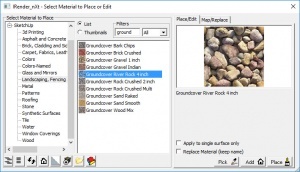 Place Material uses an Explorer type tree to select materials and place them directly on faces without having to open components and groups for edit. The tool “drills” into the model to determine which face, (or component or group), to change to place the material. 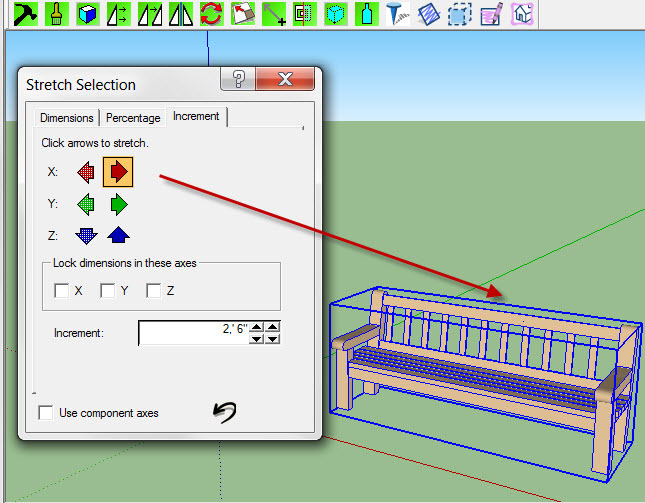 Select Component is a tool in RPS RpTools and RpReports which selects components from your SketchUp libraries using a convenient and powerful explorer tree. You can use the view buttons above the component image to change the preview view, or the use mouse to spin and orbit the component by dragging on the image. When using the Place button, you can rotate the component during placement with the arrow keys. First, download and install RpTools. 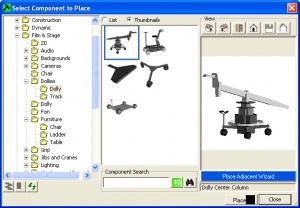 To get started, select one or more objects in your model, and try the various Manipulation Icons. Each Icon will load a dialog which can be used to move, rotate, or make other changes to the selected objects in your model. The Move Wizard is useful for more exact positioning. In this example, we want to move an component exactly 3' along the red axis. 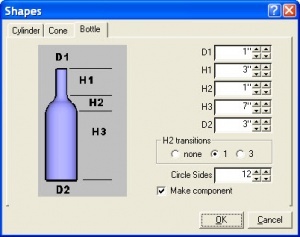 Select a Component or geometry to place. Click the Move icon on the RpTools toolbar. Click an arrow for the direction to move. Enter the distance to move below, and click an arrow to move in that direction. If you make a mistake, you can clock the opposite arrow to return, or use Undo. Copy Selection works like Move Selection, except that a new copy of the selected items is created, rather than just moving the items. Select Component or geometry to copy. Enter the distance to move when making the copy below, and click an arrow to copy in that direction. If you make a mistake use Undo. After the copy, the new entities are selected. If you click an arrow (again), a new copy will be made in that direction. Mirror works like Copy, except that the geometry is mirrored around an axis. 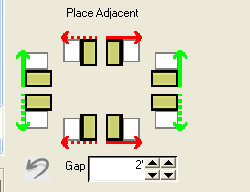 Enter a gap to leave between objects after mirroring. Click the arrow for the direction of the desired mirror. Ready to mirror "right hand" desk. 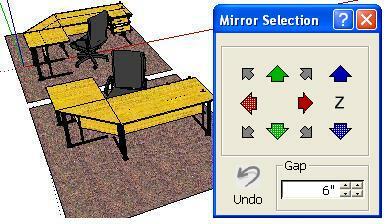 Desk Mirrored along Red Axis with a 2' gap. Quickly mirror components, etc. with the Mirror Wizard. Red and Green mirror operations are reflected through a plane perpendicular to the ground plane (red/green). Blue mirror operations are reflected through a plane parallel to the ground plane. Click any of the colored arrows to mirror the current selection in along the corresponding red, green or blue axis. 'Gap is the distance which will be placed between the selection entities and the mirrored entities. This can be used to mirror furniture in a room or workstation across a hall or aisle. Use the Rotate By settings in the lower half of the menu select or enter desired rotation. Select an arrow for the axis to Rotate about. Enter an angle to rotate by. The radio buttons will prefill some common angles. If you set a small angle such as 15 or 30 degrees, then you can click the arrow several times to get a larger rotation. Click an arrow to rotate around an axis. To spin an item placed on the floow, use the positive or negative Z arrows. Use Component Axes - If the selection is a single component, this option will rotate the selection about its original axes, rather then the model axes. Select the Component or geometry to stretch. Click the Stretch Icon on the RpTools Toolbar. Click one of the colored arrows to shrink or expand the component along that axis. There are 3 tabs available for stretching. Shows the current size of the component or entities selected. Enter the desired size in any of the directions and click Apply to perform the stretch. You can also return to this tab after performing a percentage or incremental stretch to see what the new dimensions are. Enter a percentage and click an arrow to stretch the component, or selected entities, along an axis. Click an arrow to stretch in that direction. If you want to stretch in all 2 or more directions at the same time, check the Lock dimensions in these axes check boxes. You must check 2 or 3 axis boxes for locking to occur. Enter a distance to increase the selection by. Click an arrow to stretch in that direction. Aim, or point, a component by pointing one of its axes at another location in the model. Aim Axis - select the axis of the component to align. 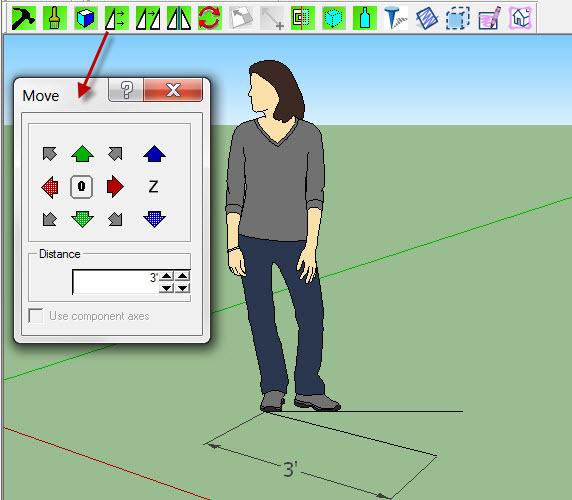 Then move the mouse cursor to snap to a locatable item in SketchUp to aim the component at that item. Use cursor to point component. (Cursor position is near where the word "Endpoint" appears.) As you move the cursor, the component points to the cursor location until you click the mouse button. The base point of the component stays fixed. NprTools is a a subset of RpTools used to help create Non-Photorealistic materials, renderings and other features for use in conceptual or formal renderings. Similar to soft shadows, but applies a texture pattern to the model to be used to draw the shadows. Lets you create your own sketchy textures to be used with SketchUp or Sketchy Shadows. Saves an image of your model with colored, transparent or softer edges. Special colors and styles to achieve a crayon look. Saves special images - such as edges only or shadows only which you can combine in Photoshop or another paint program for special effects. This also has a valuable feature which will make any image or pattern tileable or repeatable for use as a SketchUp material. 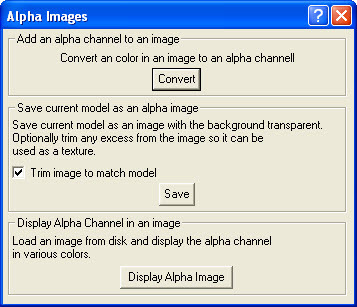 Alpha channel adds an alpha channel to a raster image, (to defined parts of the image which are transparent). 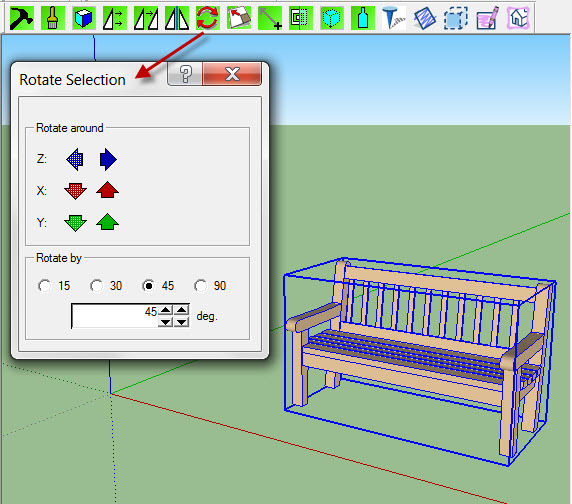 The alpha channel image can then be used as a SketchUp Image, a SketchUp material, or for other uses (e.g. as a toolbar icon). You can replace a component with a component of the same name with both LO-POLY and HI-POLY geometry stored in separate layers. Tools to create or manipulate alpha channel images. Alpha channel images contain a channel, in addition to red, green and blue for color, which defines places where the image is transparent. This is used to create transparent, 2D components in SketchUp, or to paste renderings or other images on top of a background. Shapes is a set of Wizards of RpTools to create simple 3D Shapes. There is a 30 day Trial Version for RPS products. This is a fully functional version, with watermarks or other text added to indicate that it is a trial version. Follow the links on the Downloads Page to download the latest version. For more information see the RpTools Tutorial .